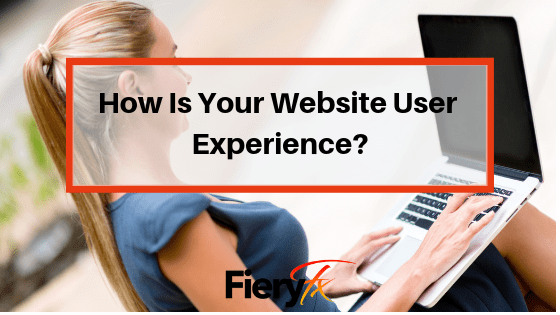 How Is Your Website User Experience? Have you considered that your website is not turning visitors into leads because of the user experience? Your website is designed for your prospects and customers, but if they’re not seeing and feeling what they want to see and feel, it could be falling short. You may have a problem with your website user experience. Imagine walking into a bakery. From the moment you step in the door, it feels warm and welcoming. You can smell the bread cooking, you’re greeted by a friendly employee, and the display overflows with choices and their prices. You order what you want, the price is what you expect, the goods are conveniently packed up, and you leave feeling very satisfied. That is a good user experience: When you get what you expect and leave with what you came for. If I went to that bakery and had that experience, I would probably want to go back. But we’ve all had the polar opposite of that experience as well. You visited not sure of what was available, didn’t find what you wanted, and left feeling frustrated, disappointed, and as if you wasted your time. What User Experience Is Your Website Creating? How do you want your audience to feel when they come to your website? That’s the question you should be considering with every update to your site. Remember, it’s all about the user experience, and if it’s not a good one, you could be losing opportunities before they have the chance to start. Need help with your website or marketing? Be sure to follow this blog and check out Ignite Your Site, my hands-on workshop to transform your website user experience. Our next VIP takes place Feb. 20. Is your website a reason you aren't turning audiences into leads? Here's why user experience matters to your audience.